Reusable Menstrual Products - Good Idea? This conversation can inspire gasps and 'Eww! 's, but as the converts will all tell you, modern reusable menstrual products are some of the best things ever made. Not only are they super environmentally friendly and much less expensive than disposables1, but they're also much better for you than disposable tampons and pads because disposables are full of pesticides, chemicals, fragrances, and adhesives that can irritate your skin and cause some ugly vaginal infections. Menstrual cups are the reusable alternative to tampons, but it catches your flow rather than absorbing it like a tampon does. In my experience, the cup is extremely comfortable and it works great. Inserting and removing the cup takes some time to get used to, but after a few tries, you'll have it down. Another advantage to the cup is the very low risk of TSS (toxic shock syndrome) compared to tampons2. Most cups come in two sizes - size 1 for women under 30 or women who have never given birth vaginally, and size 2 for women over 30 or women who have given birth vaginally. Obviously the majority of teens will use size 1. Reusable pads are the alternative to disposable pads, and trust me, are way better than disposable pads. They are so much more comfortable than disposables. 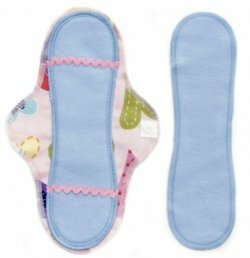 Reusable pads are also really easy to clean - just rinse in cold water and then machine wash cold5. Either hang them to dry or throw them in the dryer. Lots of people think it's gross or in some way unsanitary to use reusable pads, but think about it this way: if your tampon/pad leaks onto your underwear, don't you just wash them and wear them again? This way, you're just cutting out the middleman and making your period a much more comfortable experience. There are two popular brands of reusable pads available, Glad Rags and Lunapads. I personally prefer Glad Rags, but I've heard good things about the Lunapads brand as well. 1 Disposables cost the average woman $50 per year. Comparatively, reusables cost between $30 and $150, and can be used for up to 10 years. 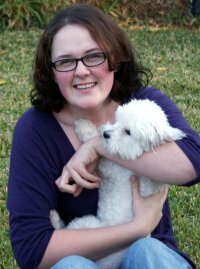 2 Toxic shock syndrome can be caused by tampons because they dry out your vaginal walls, sometimes creating microscopic tears that allow bacteria into your body. 3 The Keeper & The Moon Cup are identical except The Moon Cup is made of medical grade silicone (like The Diva Cup) and The Keeper is made of natural gum rubber (latex). 4 Mooncup UK is not in any way affiliated with The Moon Cup. 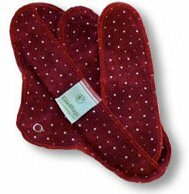 5 Do not use hot water (as it will release the iron in the blood and stain the pads), chlorine bleach, or fabric softener when washing reusable pads. Subject: Reusable Menstrual Products - Good Idea?